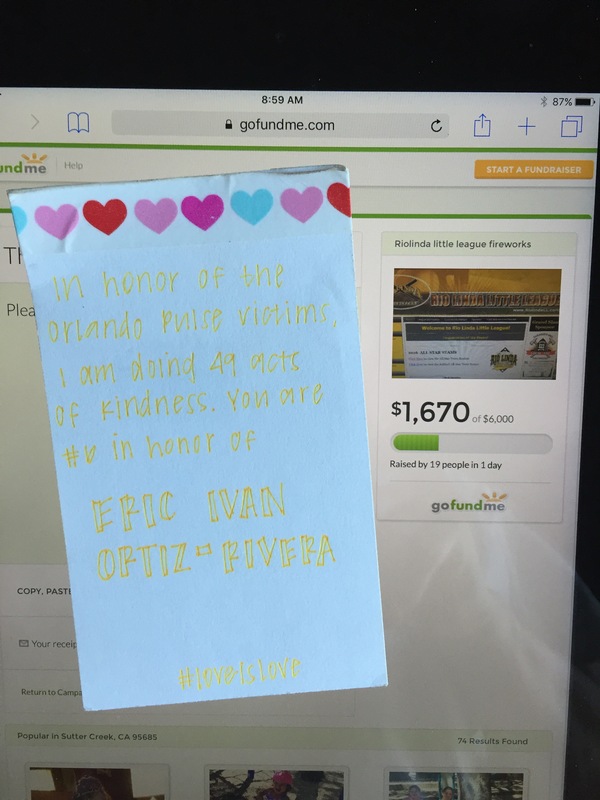 This is the seventh of 49 random acts of kindness (RAKs) that I’m doing to honor the victims of the Orlando Pulse nightclub shooting. Hopefully each small act puts a little bit of happiness back out in the world! I did this RAK while out to dinner with my parents – we saw a family with five adorable little kids and I decided to pick up their tab. 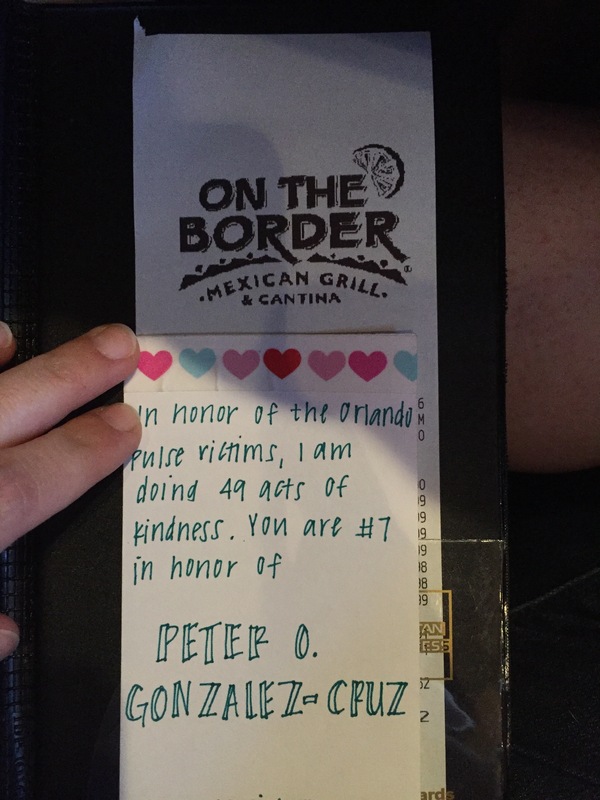 This RAK is in honor of Peter O. Gonzalez-Cruz, also known as “Ommy” and who was 22 years old. He was known for making people laugh and always bringing joy to the room. Rest in peace, Ommy.